Boston will have a busy rest of the year. Big plans are in store for cruisers in the New England area. I know that all eyes have been on Cuba lately, Cruise Hive has recently reported that Cuba will allow Cubans to arrive by ship. Now let’s take a look at the opposite end of Atlantic coast line in north America, and see what all the fuss is about. This is a big week for the city Boston! The beginning of the cruise season is starting in New England. The Massachusetts Port Authority is getting ready. The city will be accepting a total of 114 ships, all the way through November. The port of call will be none-other than Boston’s own “Black Falcons Cruise Terminal”. The Massachusetts Port Authority has stated that Bermuda will make 95 percent of the booked destinations in the area. The terminal itself is strategically located. As, it’s only a 10-minute drive from Logan International Airport. Most cruiser departing the terminal come from other parts of New England and beyond. With that said, the average cruiser lives within a 5-hour drive from the port. The city of Boston will average around 300,000 passengers leaving or visiting its port. Not a bad haul, and according Cruise Line International Association (CLIA). 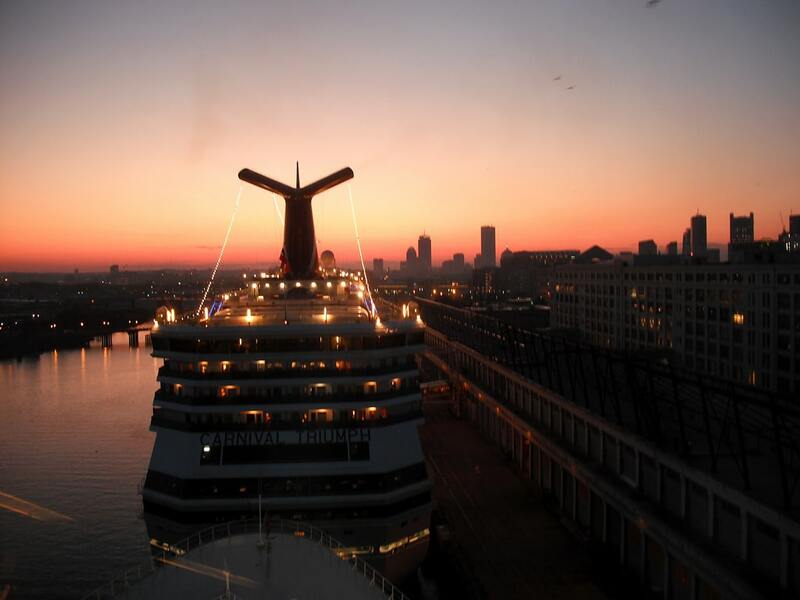 The cruise industry brought in an extra $438 Million into the city in 2015, alone. That’s almost a quarter of the entire cruise industry expenditure in the United States, 21 percent to be exact. Boston’s Black Falcon Terminal was renovated in 2010. The port is owned and operated by Massachusetts Port Authority. The port was the South Army Base from 1920-1974.